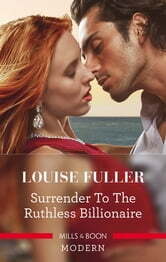 Life has taught billionaire Luis that everyone has an ulterior motive. When the beautiful stranger he spent one scorching night with reveals herself as his famous family’s new photographer, alarm bells start ringing! He whisks Cristina away to his island fortress, determined to isolate her and uncover the truth—only to realize he’s rekindled a desire from which there is no escape!